Do you remember the day you sing O Canada with great pride in the Citizenship ceremony? After years of waiting, working, and breathing the Canadian air, you finally become a Canadian citizen. Stop. Wait . . . wait. Aren’t you forgetting something? Don’t tell me you don’t have a Cultural Access Pass (CAP) yet? It is one of the perks of becoming a new Canadian citizen aside from getting a Canadian passport. It’s one of a kind in the world and it was made possible in Canada by a national charity called the Institute of Canadian Citizenship (ICC). Thanks to ICC, new Canadian citizens can have a free Cultural Access Pass that allows free admission to national parks, national marine parks, and national historic sites for one year starting from the day of taking the Oath of Citizenship. You only have limited time to use the CAP so get yours now. No more delay. After taking the Oath of Citizenship, all new Canadian citizens (18 years old and up) are entitled to have CAP. Register online. You’ll get a confirmation number after the registration. Pick up your access pass. Show the confirmation number and a photo ID to get your pass in different locations in Canada. 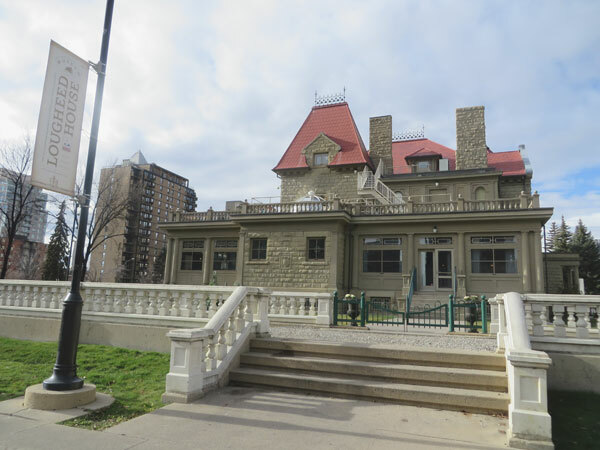 If you live close to downtown Calgary, then the Fort Calgary and Lougheed House are the best places to pick up your CAP. The fun part begins here. With your Cultural Access Pass, you can go to all CAP attractions all over Canada for free for a year; it doesn’t matter how many times. Imagine how many exhibits you can see in a museum for a year. Tip: Ask if you can use the Cultural Access Pass if you are in doubt. I listed the CAP attractions in Calgary. It includes museums and galleries that provides free admission all year or on special occasion like Canada Day. Out of 13 on the list, I’ve been to eight museums or galleries. My goal is to visit all the CAP attractions in Calgary. Now, I’m challenging you to visit as many places using your Cultural Access Pass wherever you are in Canada. Let me know where you’ve been. I couldn’t resist it so I’m showing some of the photos of where I’ve been. 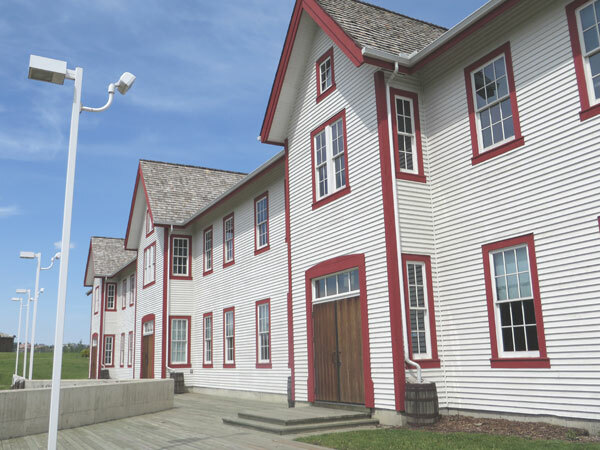 My favourite is the Heritage Park Historical Village. 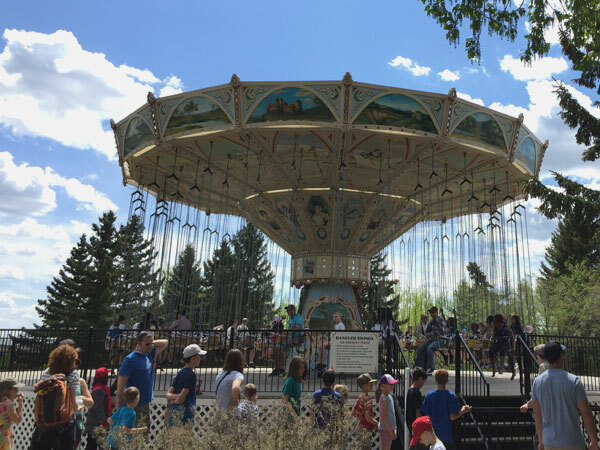 With a ticket to Heritage Park, you can ride this dangler swings, carousel, caterpillar and more carnival rides that I can’t remember. I don’t like carnival rides but I’ll surely not miss the train and ferry. All aboard! Fort Calgary is the birthplace of Calgary. Incidentally, it is located in downtown, not far from the modern city. The Lougheed House is a sandstone mansion built in 1891 by Senator James. I make it a point to visit the house turned museum especially in summer because of the lovely garden. As for other times of the year, you can attend in the exhibits and dine in the restaurant inside the museum. Watch out for more photos as I complete the challenge. Aside from national parks and historical sites, you can use the CAP to get a discount for more treats. VIA Rail offers CAP members a once-in-a-lifetime 50% off on a train trip for yourself and up to four minor dependents. The discount is applicable for the lowest available fare. What about for a place to stay. If you want a fancy hotel, Fairmont Hotels & Resorts offer 20% off and $50.00 dining credit. I shouldn’t forget to mention that two nights are the required minimum stay in the hotel to qualify for the offer. It’s interesting to know how people are encouraged to explore Canada because of the pass. Be inspired and learn their travel hacking tips. Meet one of the founders of the Institute of Canadian Citizenship, Adrienne Louise Clarkson. She was the 26th Governor General of Canada. ICC – Cultural Access Pass from Amanda Palmer on Vimeo. To become a Canadian is something to be proud of. Although it may happen in a short period or years to feel that you are part of a free country, knowing Canada using the Cultural Access Pass could be the first step to belongingness. You belong here. You, like the many immigrants and residents that came before you, has the opportunity to pursue personal and nations growth. It’s a lot of work. But don’t forget to enjoy the journey. Get your Cultural Access Pass and visit many places as possible as you could. Bon voyage! To help the future new Canadian citizens, you can support the Institute for Canadian Citizenship. The donation is eligible for a charitable tax credit during the filing of income tax return. I’m not going to end this post without adding a cherry on top of a cake for myself. I found LaFontaine-Baldwin Lectures on the Institute of Canadian Citizenship’s website. Anyone can watch speakers like Michael Sandel, Naomi Klein, and Naheed Nenshi. What places have you been to in Canada using your pass? Were you inspired to visit other places outside your city.